, chief operating officer Sheryl Sandberg outlined three steps the social media giant is taking to improve safety around its live-streaming service, which was used by the attacker to broadcast the incident. Part of its response includes restricting who can use Facebook Live depending on factors such as prior Community Standard violations, investing in better technology to better identify different versions of offending videos, and updating its review process to improve its response time to taking down videos. The platform is also ramping up its takedown of hate speech, signaled by its decision to ban all praise and representation of white nationalism last week. It’s also supporting wellbeing and mental health organisations in New Zealand following the attack. “We are also ready to work with the New Zealand Government on future regulatory models for the online industry in areas like content moderation, elections, privacy and data portability,” Sandberg says. CEO Mark Zuckerberg extended Sandberg’s calls for regulation, saying governments and regulators need to take a more “active” role. He called for a focus on regulation around harmful content, election integrity, privacy and data portability. “Lawmakers often tell me we have too much power over speech, and frankly I agree,” Zuckerberg says. Zuckerberg put forward the idea of third-party bodies to standardise the distribution of harmful content and called for a global adoption of GDPR-like (General Data Protection Regulation) laws in the EU. “People around the world have called for comprehensive privacy regulation in line with the European Union’s General Data Protection Regulation, and I agree,” Zuckerberg says. 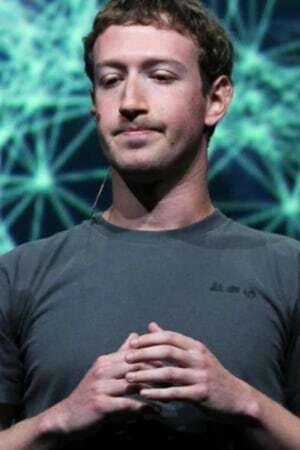 Facebook’s top bosses have admitted that the company needs better regulation, both by internally and externally, following a sustained backlash in the wake of the Christchurch attack in which 50 people were killed. In an open letter published in The New Zealand Herald, chief operating officer Sheryl Sandberg outlined three steps the social media giant is taking to improve safety around its live-streaming service, which was used by the attacker to broadcast the incident.